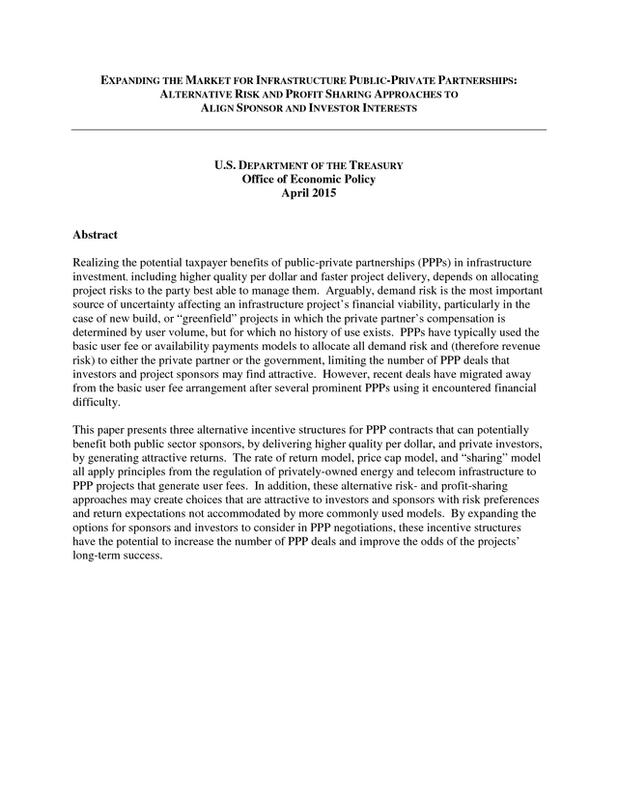 2) EXPANDING THE MARKET FOR INFRASTRUCTURE PUBLIC-PRIVATE PARTNERSHIPS: ALTERNATIVE RISK AND PROFIT SHARING APPROACHES TO ALIGN SPONSOR AND INVESTOR INTERESTS U.S. DEPARTMENT OF THE TREASURY Office of Economic Policy April 2015 Abstract Realizing the potential taxpayer benefits of public-private partnerships (PPPs) in infrastructure investment, including higher quality per dollar and faster project delivery, depends on allocating project risks to the party best able to manage them. 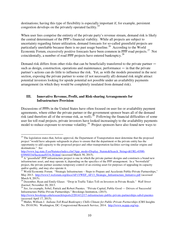 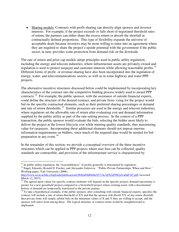 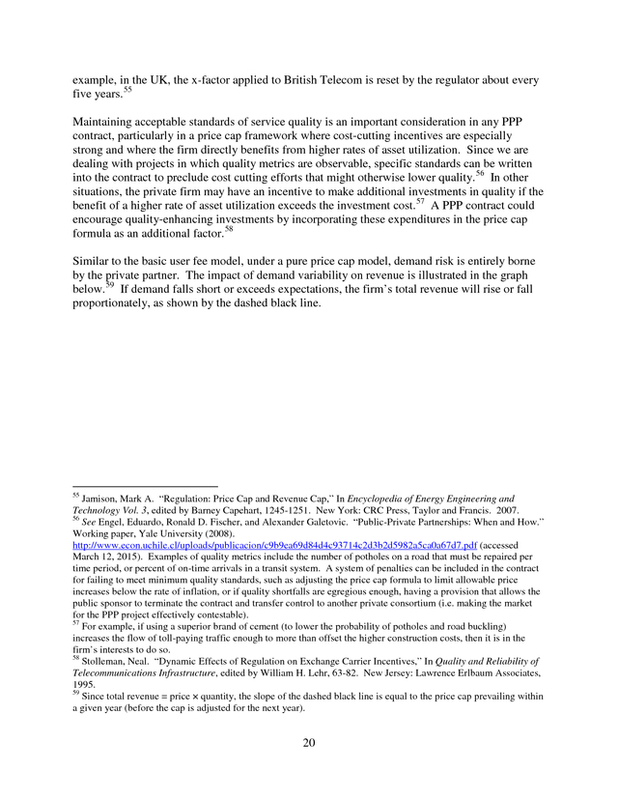 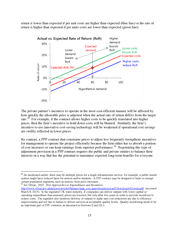 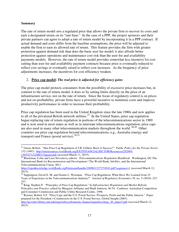 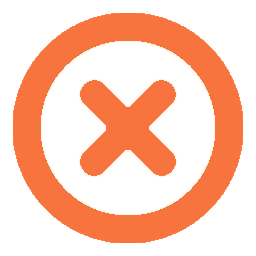 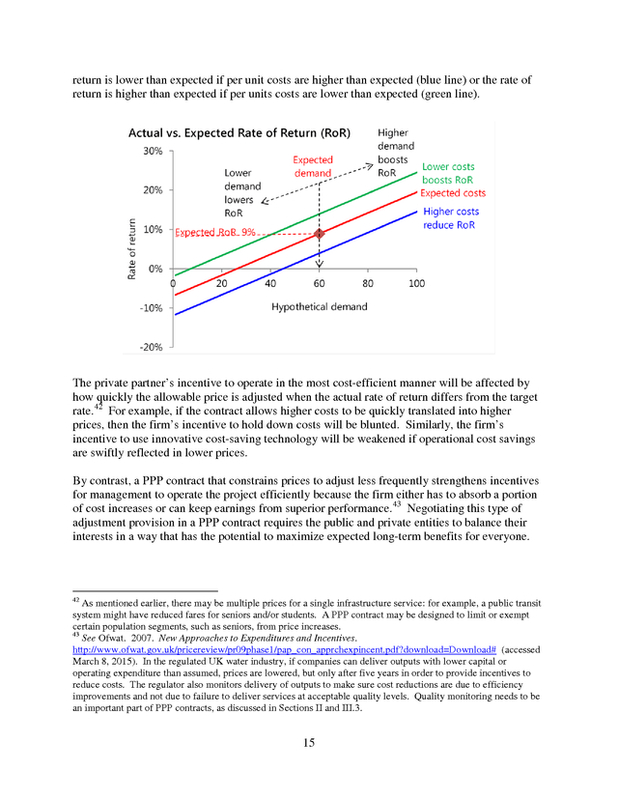 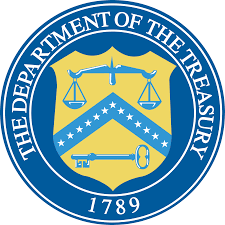 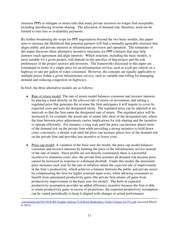 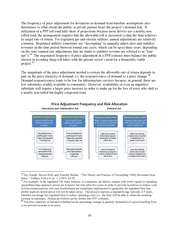 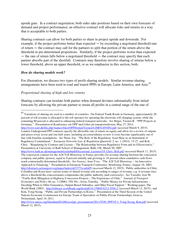 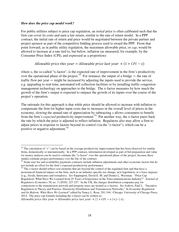 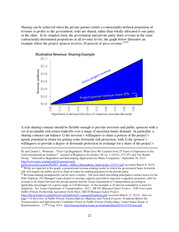 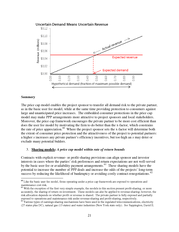 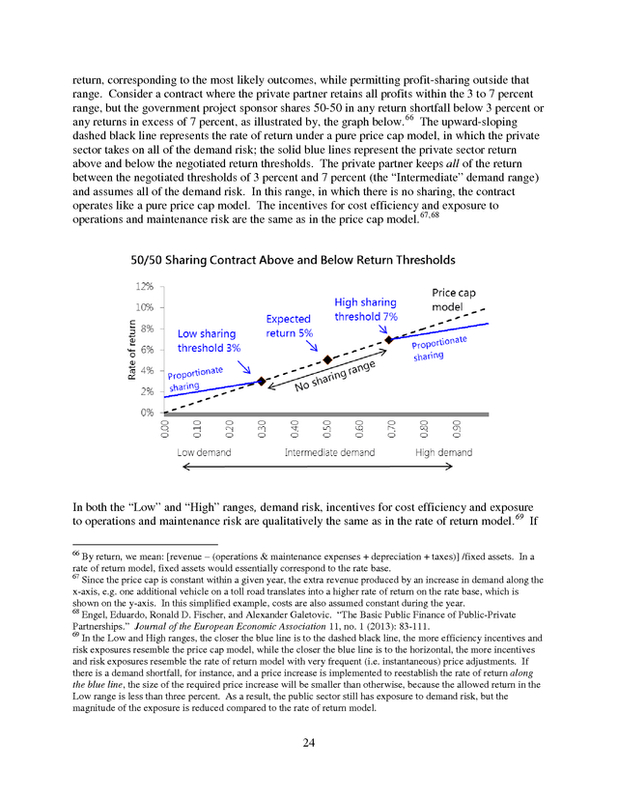 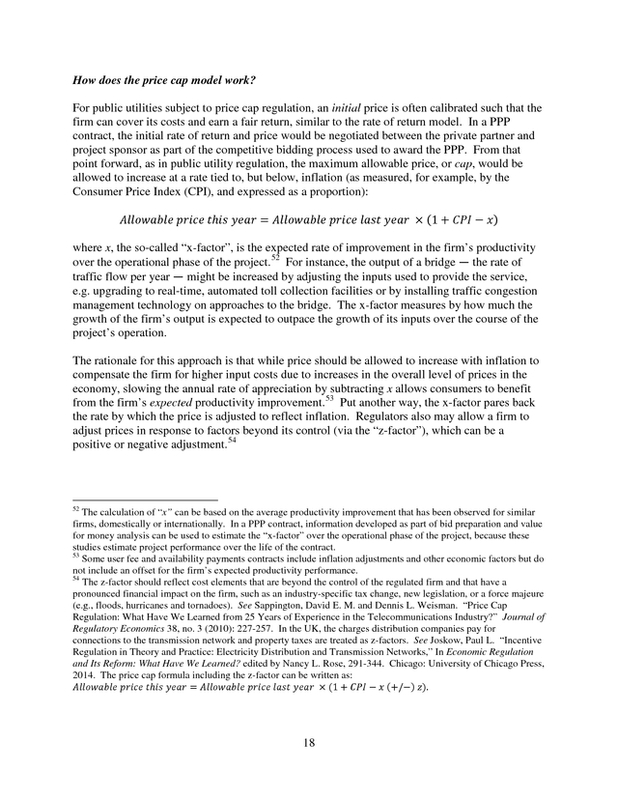 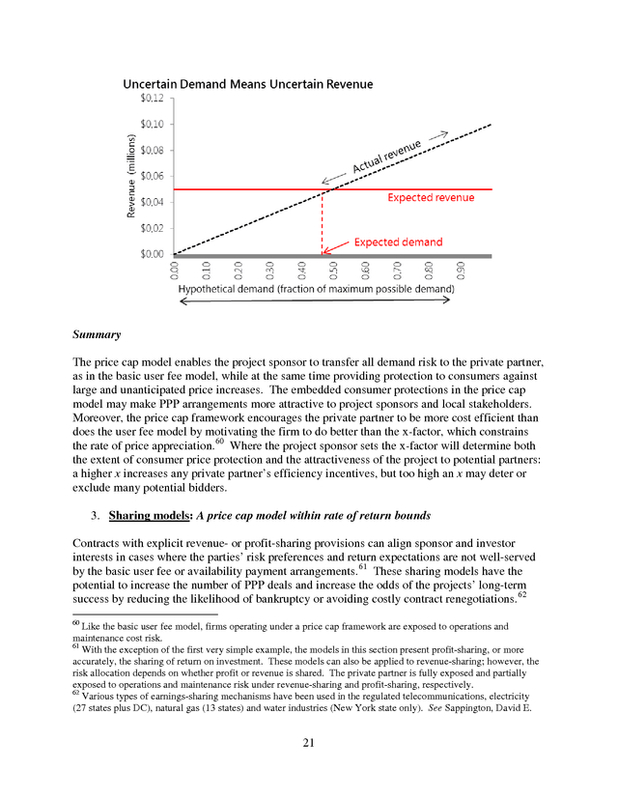 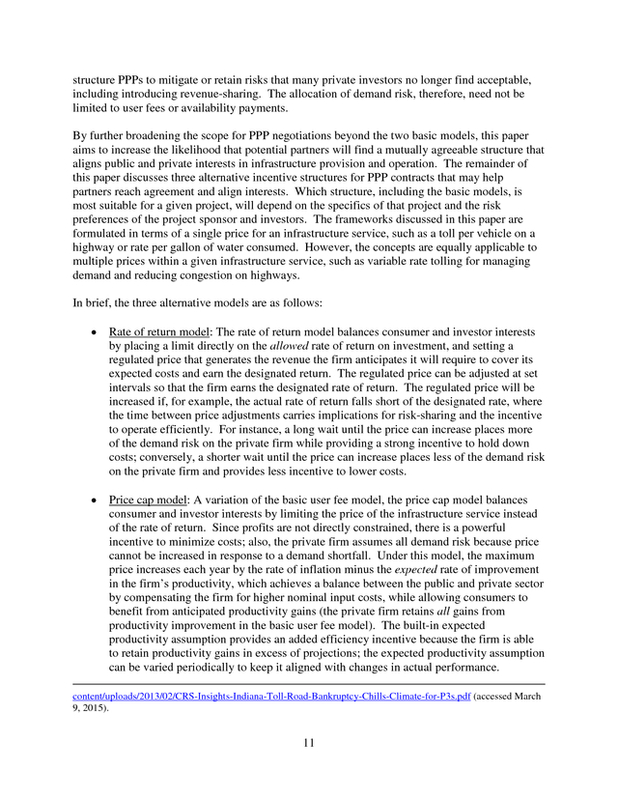 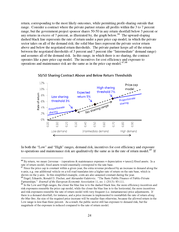 Arguably, demand risk is the most important source of uncertainty affecting an infrastructure project&rsquo;s financial viability, particularly in the case of new build, or &ldquo;greenfield&rdquo; projects in which the private partner&rsquo;s compensation is determined by user volume, but for which no history of use exists. 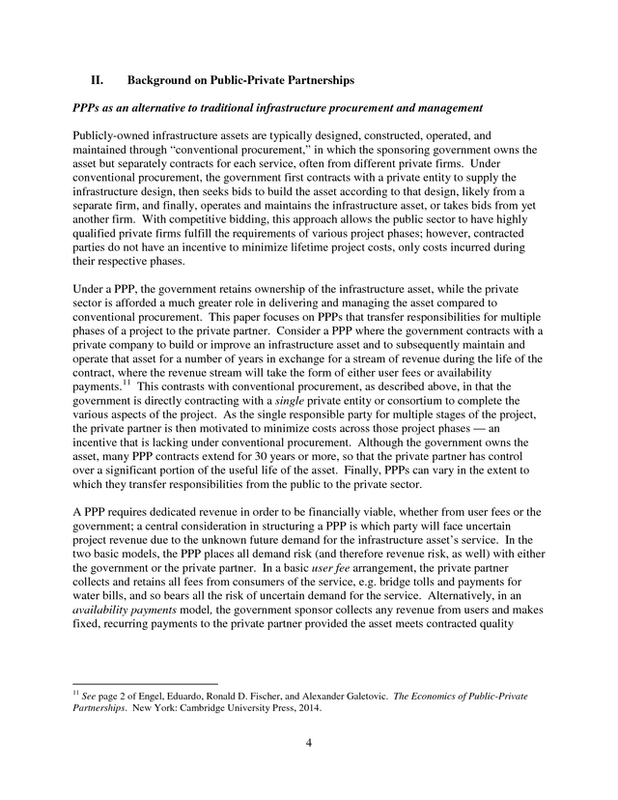 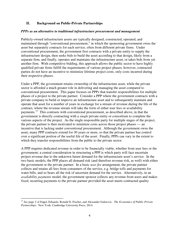 PPPs have typically used the basic user fee or availability payments models to allocate all demand risk and (therefore revenue risk) to either the private partner or the government, limiting the number of PPP deals that investors and project sponsors may find attractive. 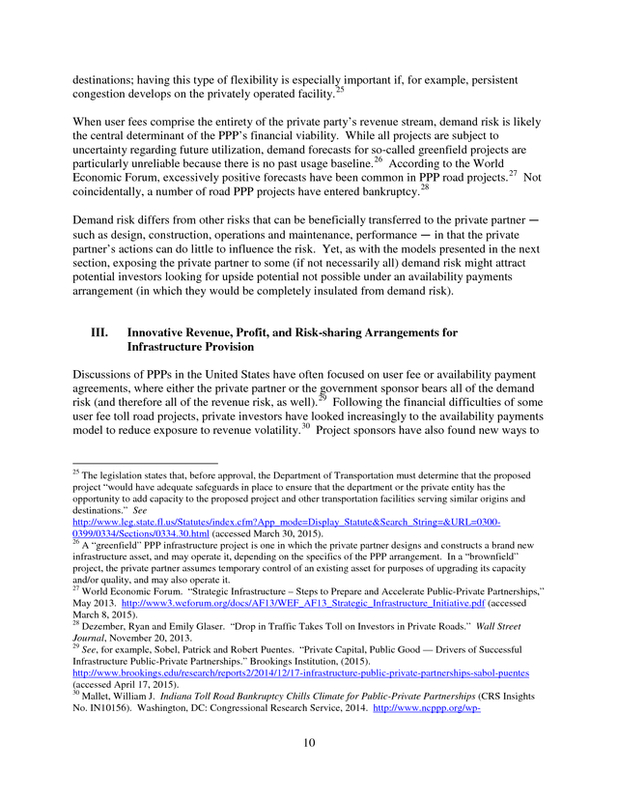 However, recent deals have migrated away from the basic user fee arrangement after several prominent PPPs using it encountered financial difficulty. 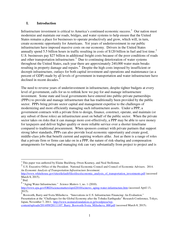 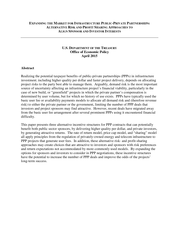 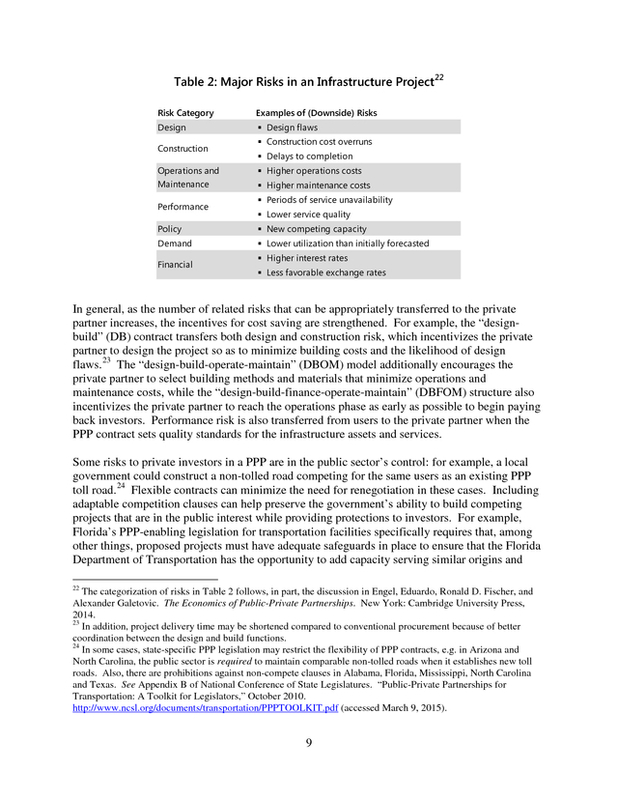 This paper presents three alternative incentive structures for PPP contracts that can potentially benefit both public sector sponsors, by delivering higher quality per dollar, and private investors, by generating attractive returns. 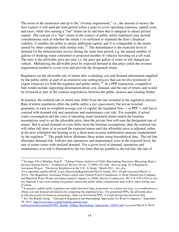 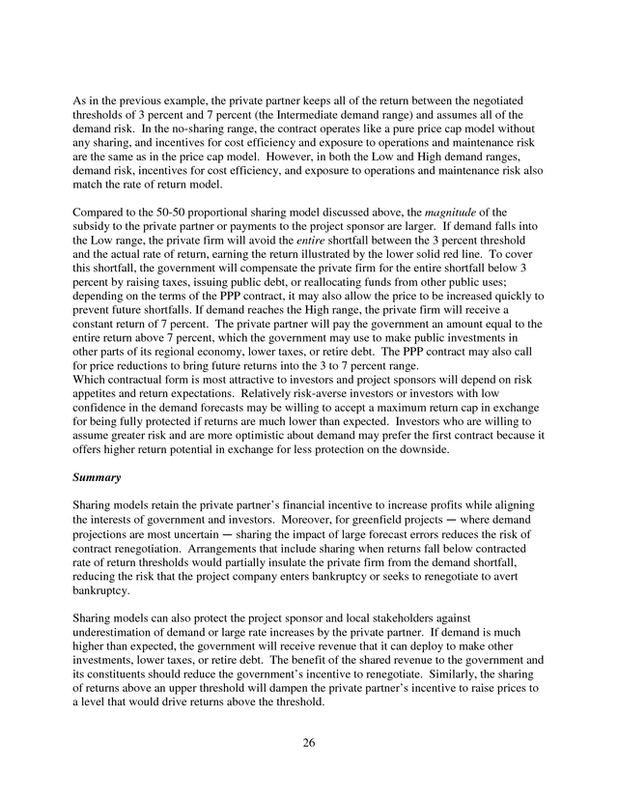 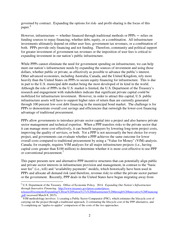 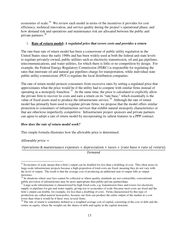 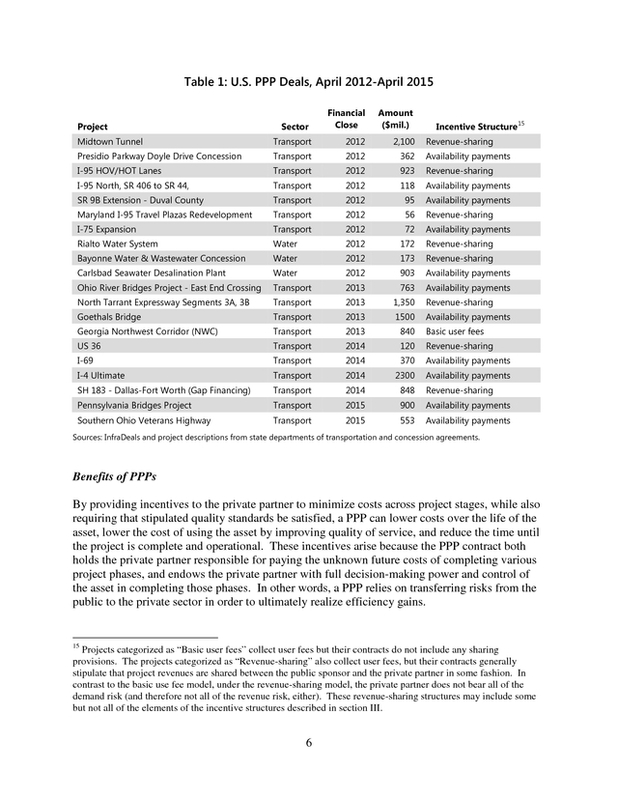 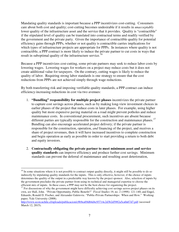 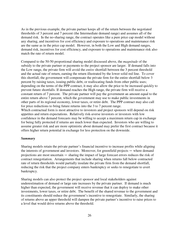 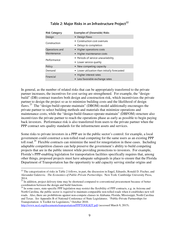 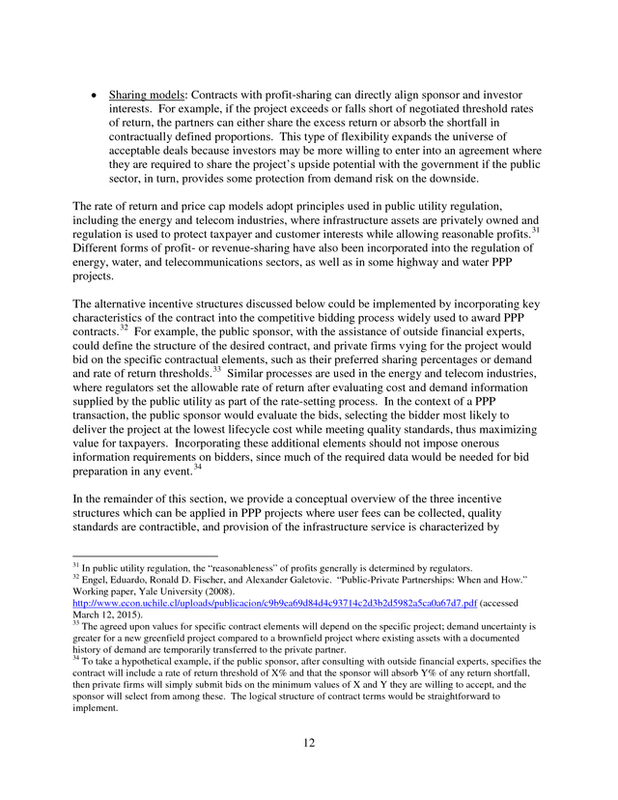 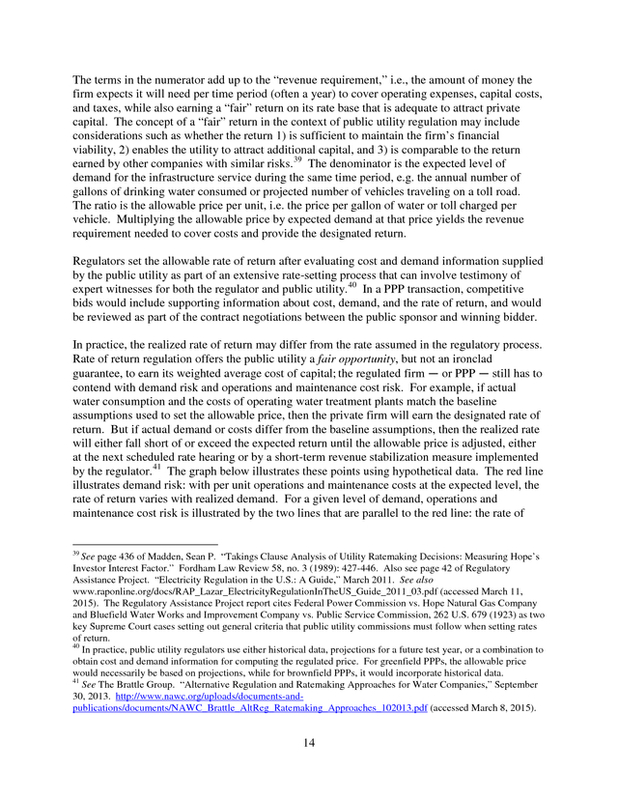 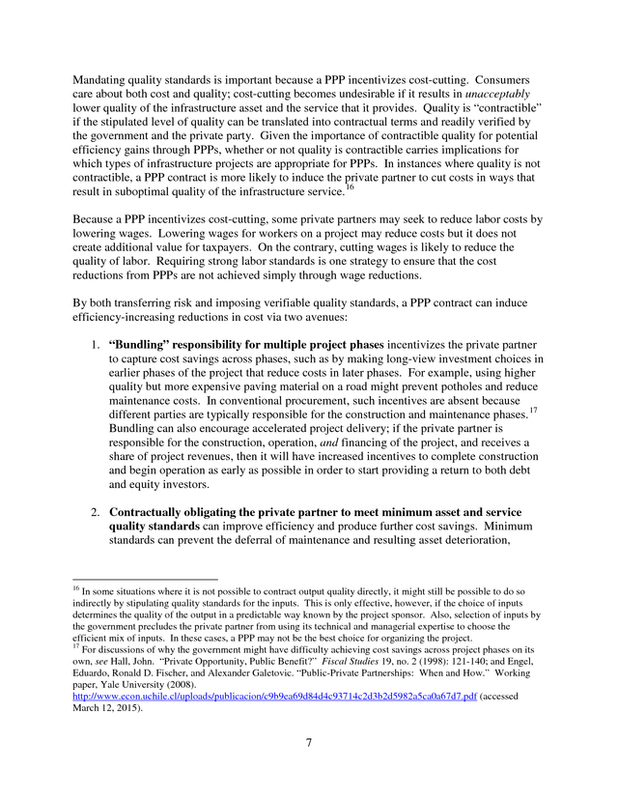 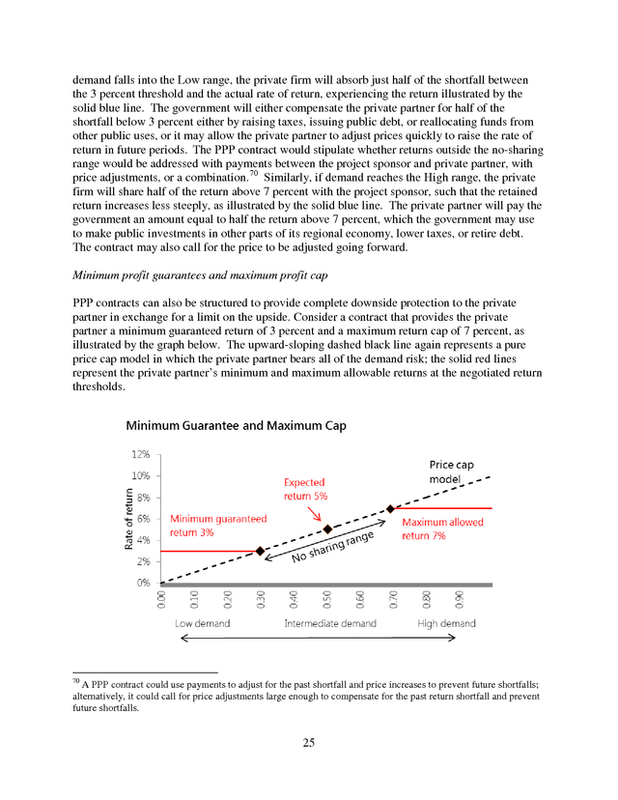 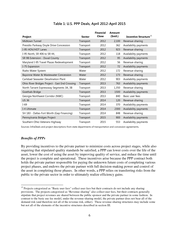 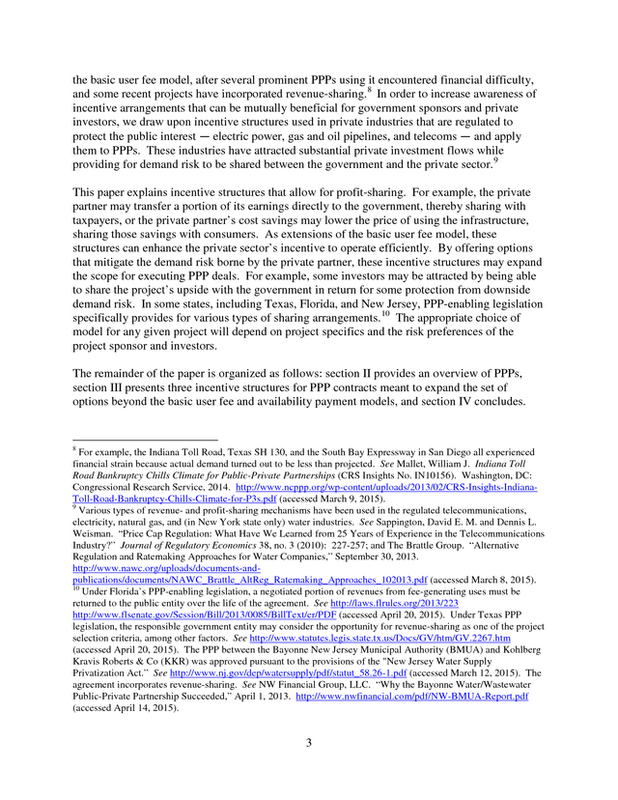 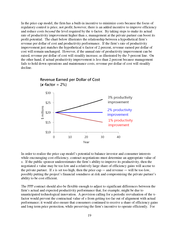 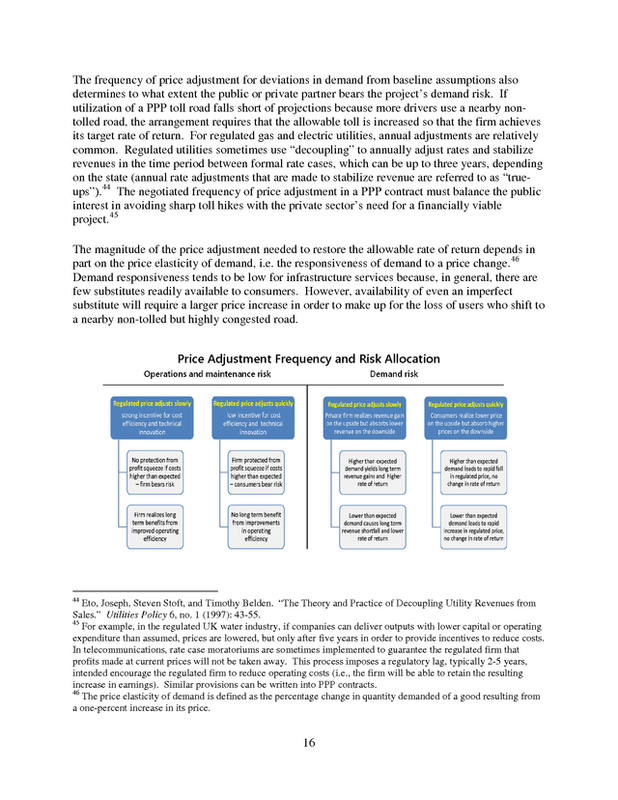 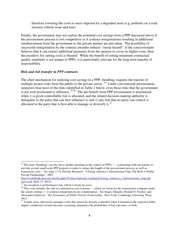 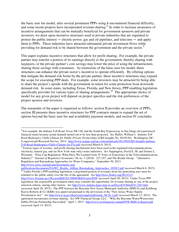 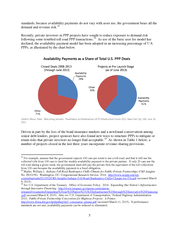 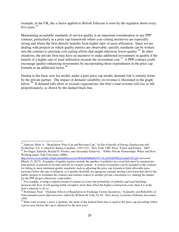 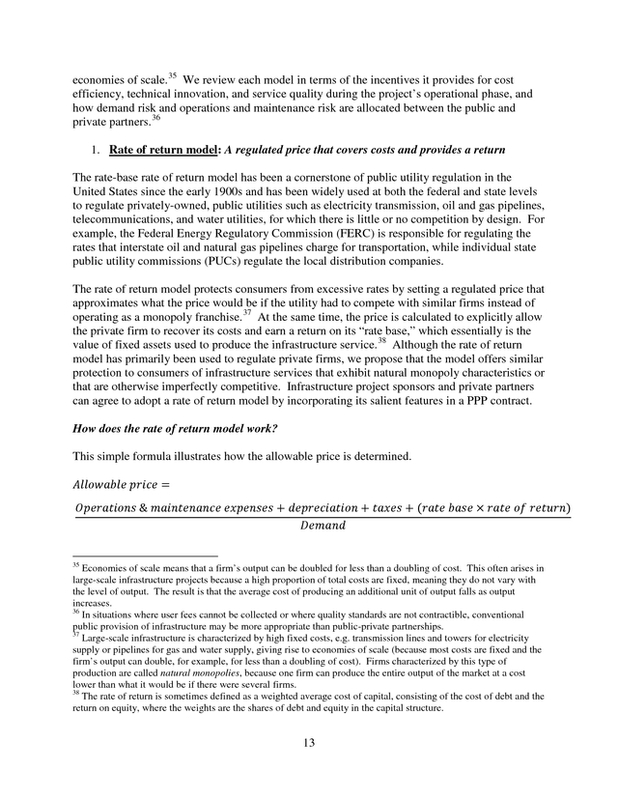 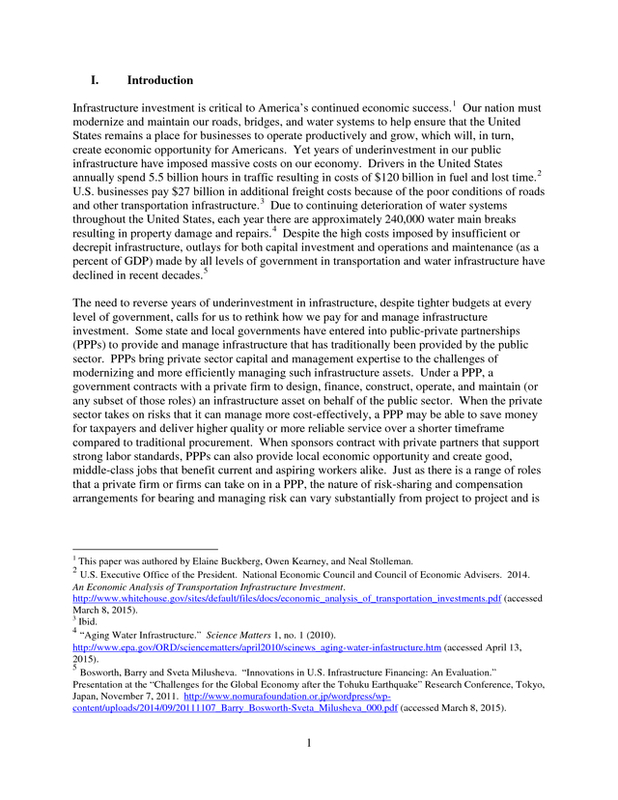 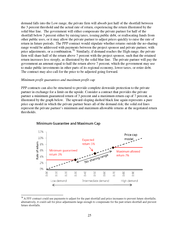 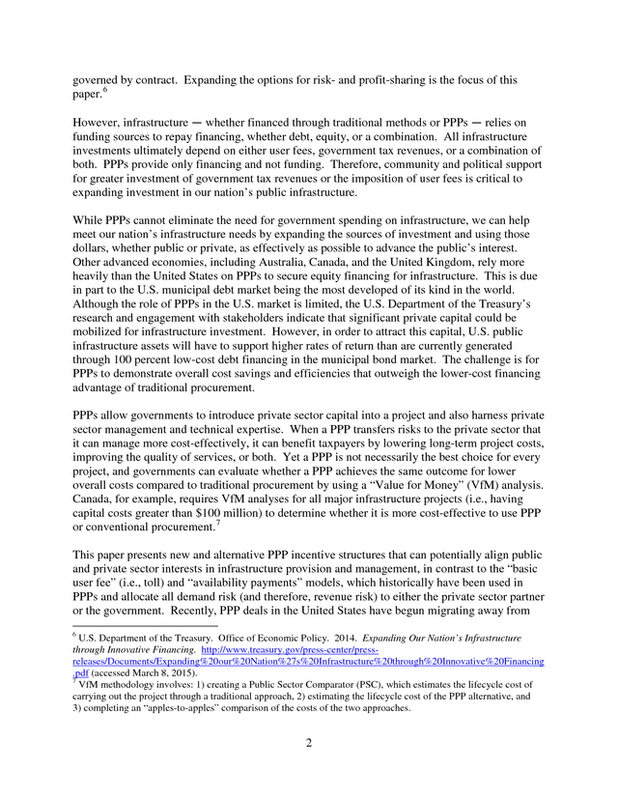 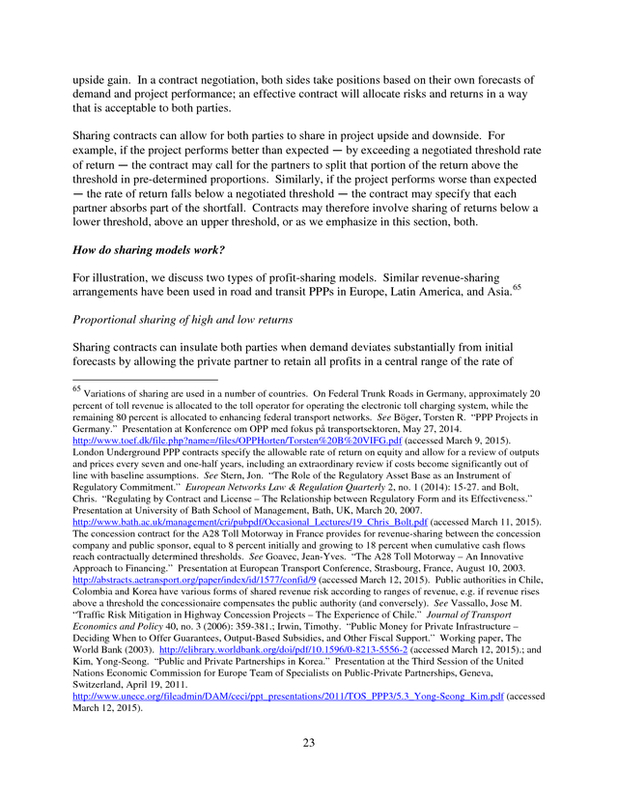 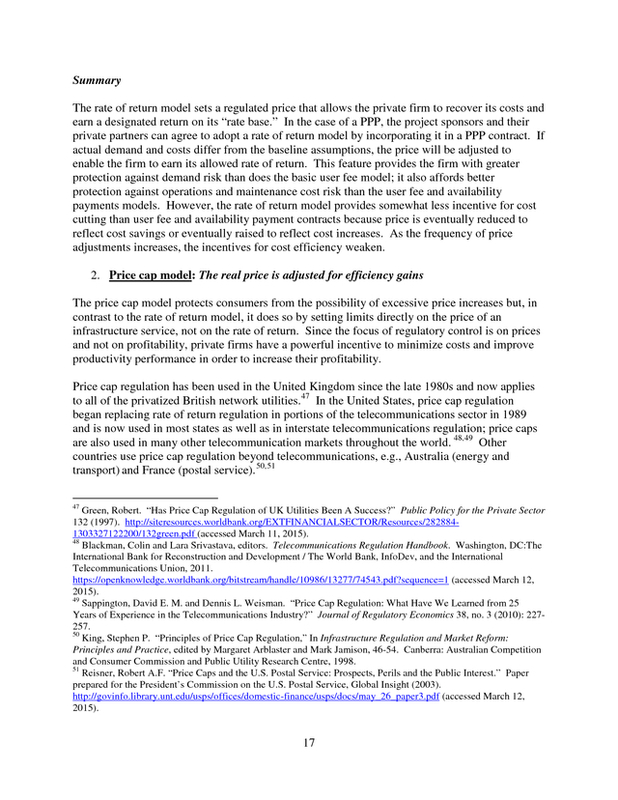 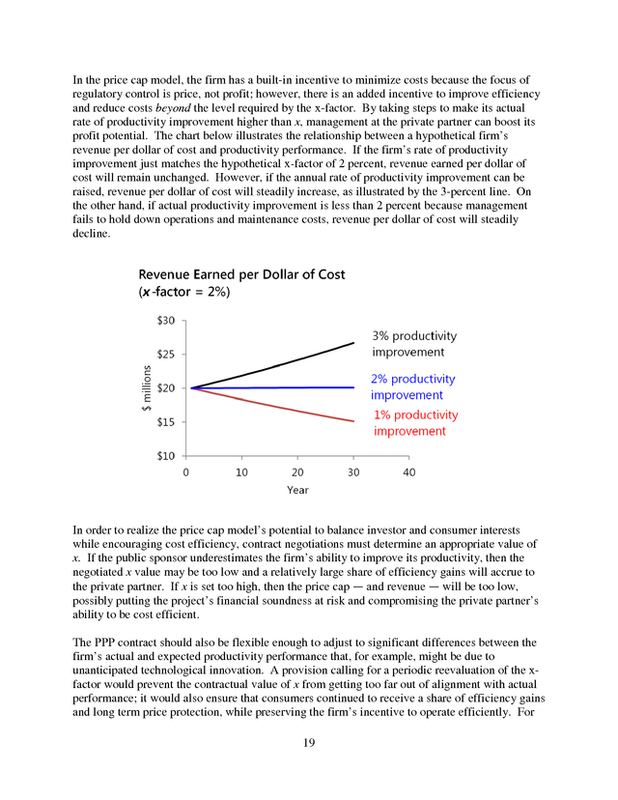 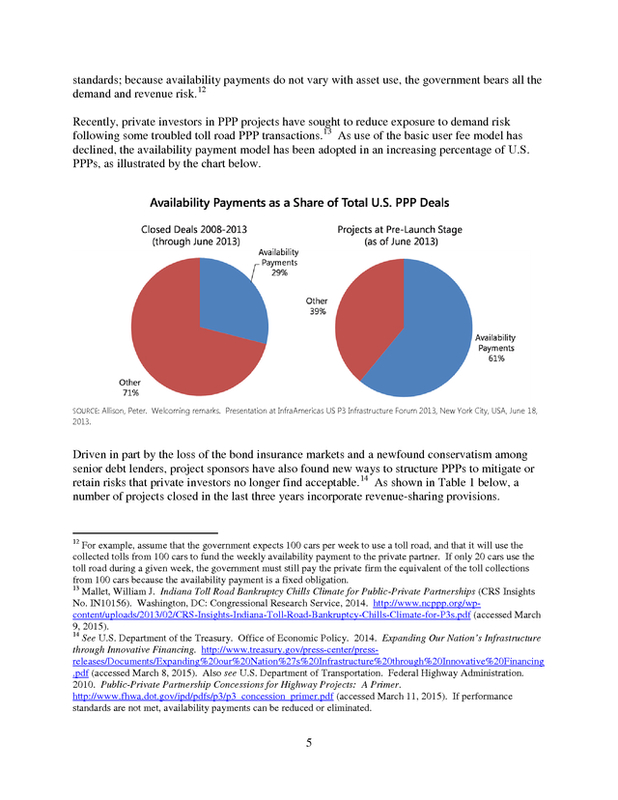 The rate of return model, price cap model, and &ldquo;sharing&rdquo; model all apply principles from the regulation of privately-owned energy and telecom infrastructure to PPP projects that generate user fees. 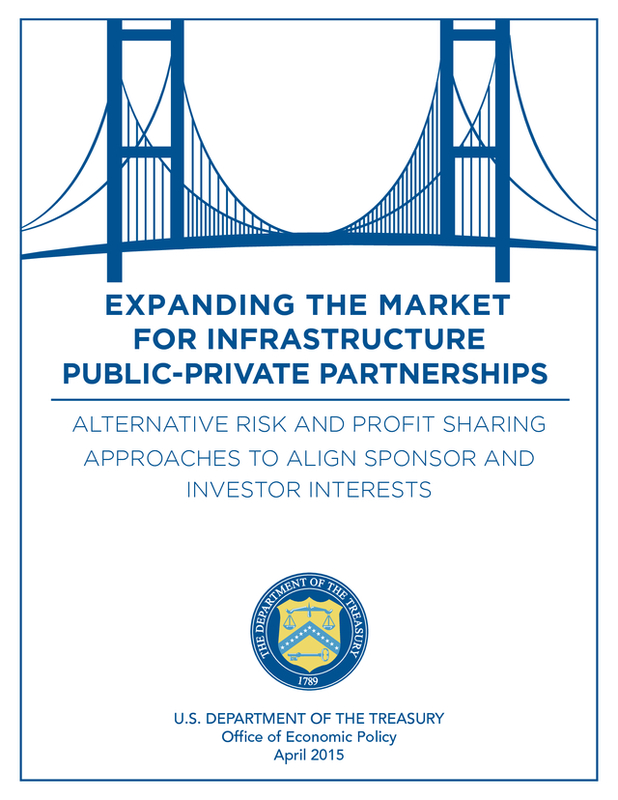 In addition, these alternative risk- and profit-sharing approaches may create choices that are attractive to investors and sponsors with risk preferences and return expectations not accommodated by more commonly used models. 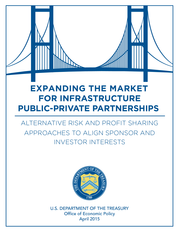 By expanding the options for sponsors and investors to consider in PPP negotiations, these incentive structures have the potential to increase the number of PPP deals and improve the odds of the projects&rsquo; long-term success.